*All of our chassis take AICS magazines with nothing extra needed, the magazine is not included. **180-Xray Chassis come with the 1-3 LOP spacer kit. 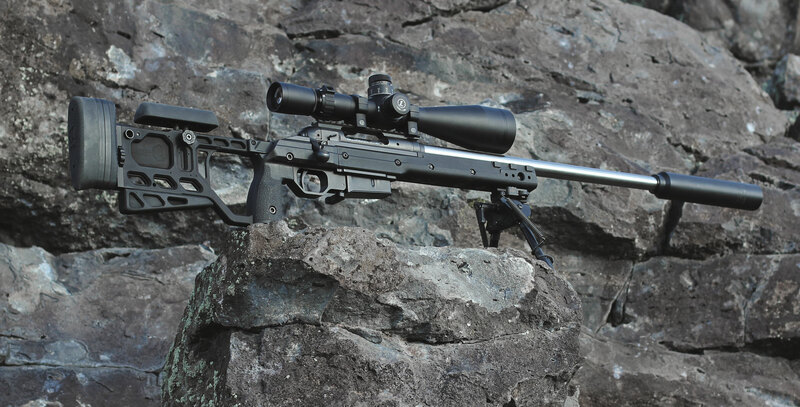 180-Alpha Chassis (Generation II Chassis) Savage shooters, we listened! 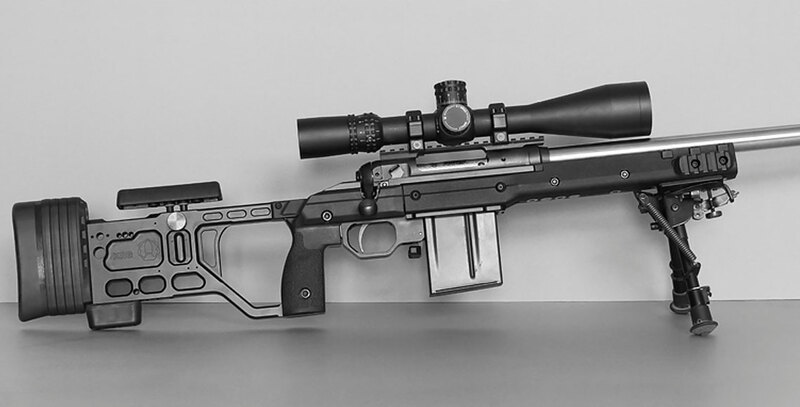 When we couldn't fit the Savage into the X-ray or Whiskey-3 Chassis, we went back to the drawing board and came up with a unique Savage Chassis design that fits all of our design criteria. 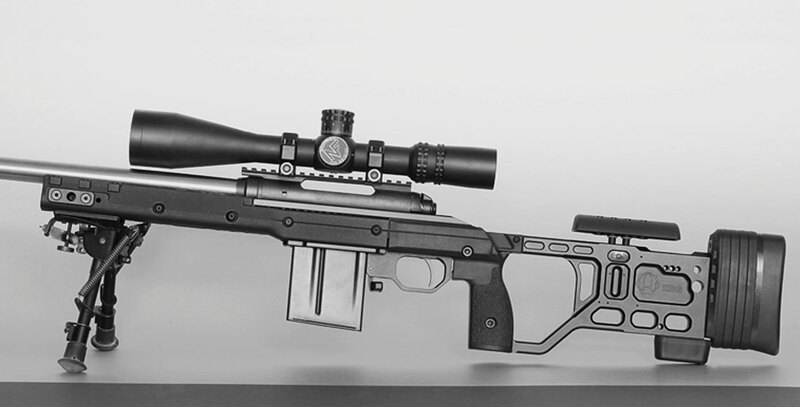 Keeping with the theme of lightweight and ergonomic, the 180-Alpha, at 3.5lbs, is one of the very few chassis under 4lbs (one other being our X-ray). 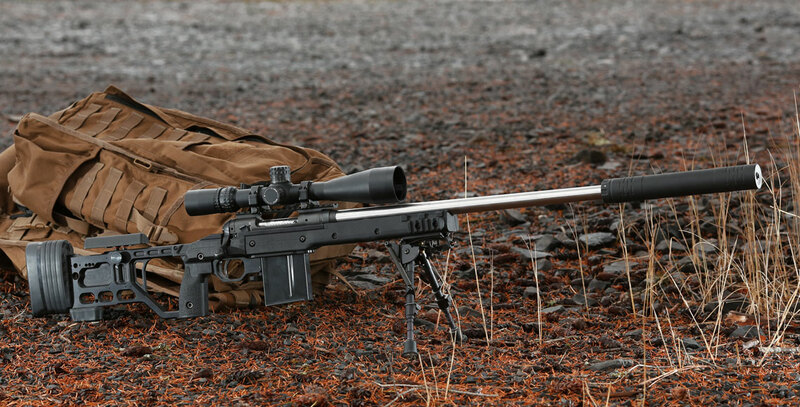 Despite the low weight, it keeps all the important ergonomic features as well as mounting options for slings, night vision mounts, and other accessories. 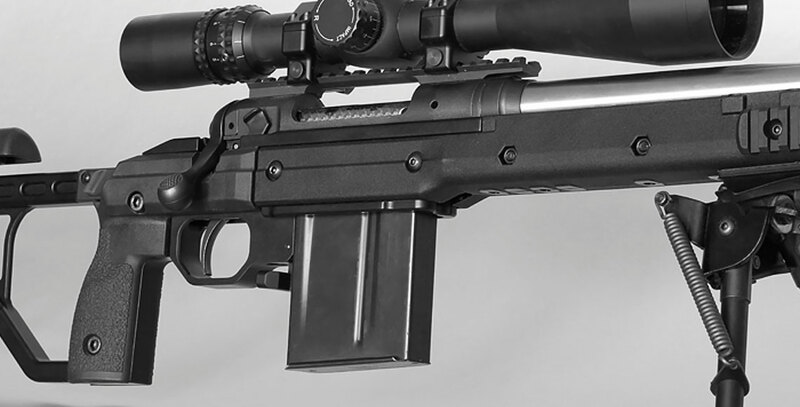 Like all of our chassis, it accepts AICS magazines (not included) right out of the box with no bottom metal purchase needed, and it has the tried and true V-bedding system cut into the aluminum backbone. For the new gen 2 chassis we have revised the rear stock in appearance and added QD sling mounting points to both sides at the rear. 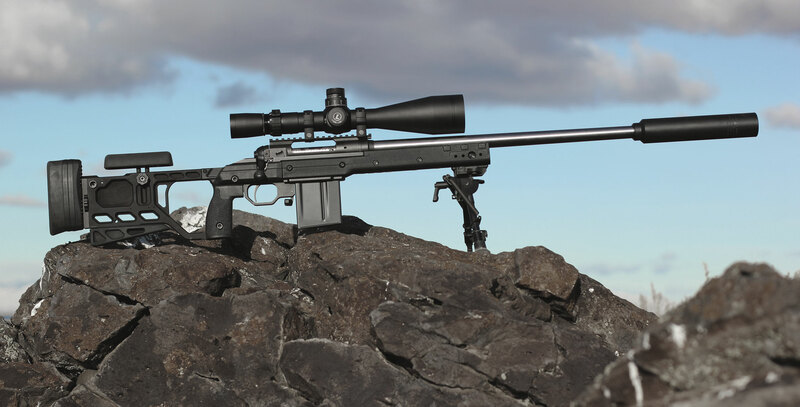 We find the 180-Alpha chassis a joy to shoot and we think you will too. Mounting holes at various positions will take L2 Picatinny rails, QD sling mounts,NV mounts, etc. V-bedding system which is CNC'd into aluminum for consistent contact between action and chassis. Accommodates some large aftermarket recoil lugs. Designed for 5 or 10 round AICS magazines (can remove the restrictor plate that comes in the mags). Will accept any barrel contour up to 1.2” straight cylinder. However, we strongly recommend using a contour no larger than a medium palma. Will accept Timney and Rifle Basix triggers as well as factory trigger (accutrigger or non). Extended release button available as optional item. Cheekpiece infinitely adjustable within range (1” travel). Cheekpiece can be quickly removed and re-installed, uses a clamp and thumbscrew design. Includes a simple feature to make the cheekpiece return to the exact height you set it. Cheekpiece can be moved forward or backward with one alternate position. Cheekpiece made of polymer to not transmit heat to or away from your face. Adjustable with spacers in 3/8" increments with nearly 2 1/4” of adjustment range (uses same spacer packs as X-Ray Chassis). LOP is approximately 12.7” standard and can be extended to 15” (technically even longer is possible with even more spacers). Aluminum, similar in design to our Whiskey-3. Several mounting points as noted below. Moves vertically to various positions. 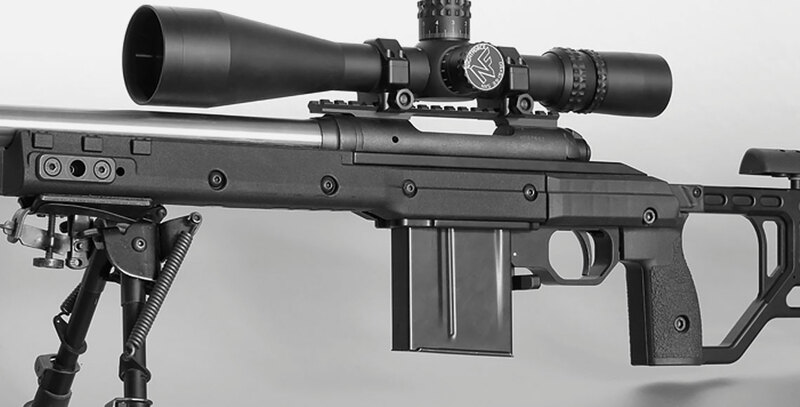 Buttpad is Remington 700 pattern so user can install aftermarket pads. Buttstock has mounting options for Ambi QD cup, external QD cup, Sling Loop/QD mount, Sling Loop Screw,etc. Buttstock includes bag rider/butthook which can be replaced with included picatinny rail. Harris bipod stud included for forend. Forend has mounting positions for QD sling plate, Sling Loop/QD mount, L2 rail, Night Vision mount, etc. ALL STOCKS COMES WITH ONE EACH MOE L2 and L3 RAIL. All aluminum parts are hard anodized (Type III). Nearly all fasteners are stainless steel with black oxide coating. 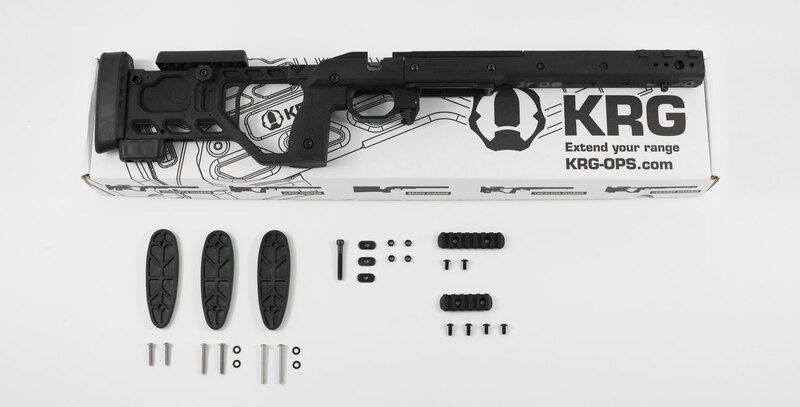 Grip panels and forend are injection molded reinforced polymer. Fixed version is 3.5lbs w/o magazine. Shipping Fee: This item will ship for a flat rate of $25 if purchased alone. This rate will cover all other items ordered and shipped at the same time.We offer a military and LE discount (active duty mil and POST certified LE with PD/SO/Agency) on the products we manufacture, to receive the discount amount and codes, please send a copy of your ID or credentials to info@krg-ops.com.Manufacture: Our products are made in the USA by hard working Americans.NOTE: ALL stocks comes with one each MOE L2 and L3 rail, along with the bag rider for the rear and a sling swivel stud (bipod stud) for the front. Additional rails and other accessories can be ordered in the Products/Accessories section of our website. No stocks come with an AICS magazine.